Louis Tomlinson is a big fan of his Burberry Vintage Check Hat. He can often be spotted in it at events, the studio, and in his free time. It retails for $320. Louis most recently wore it to Simon Cowell's Hollywood Star Walk of Fame ceremony (above). He was also spotted in it at the Philadelphia airport while on his way to the Firefly Festival (below). He wore it to the studio while working on his debut album. 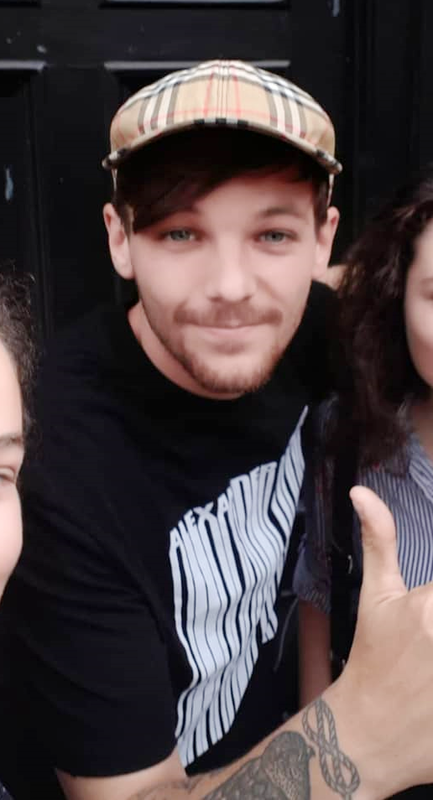 Louis was spotted in the hat outside the studio where he posted with fans. 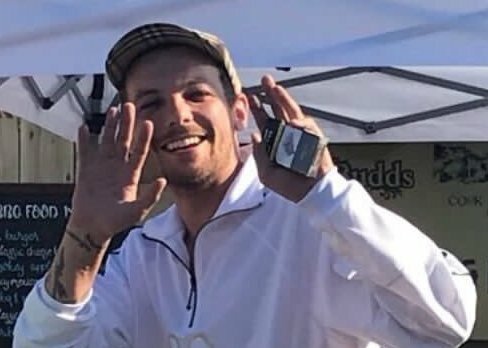 Louis was spotted sporting the hat in Somerset, where he also posed for pictures with fans.